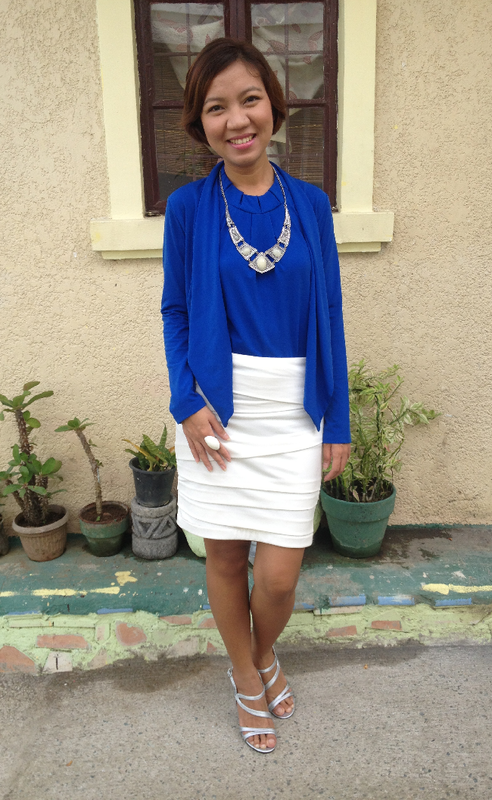 Another UAAP inspired outfit! 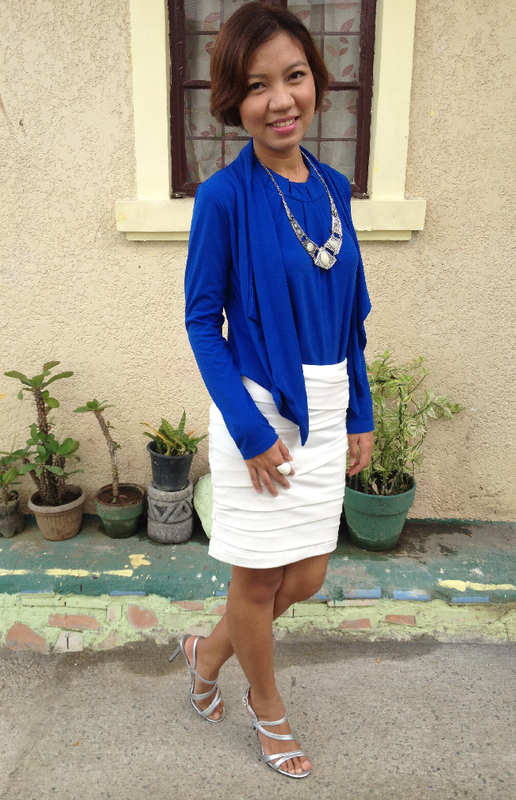 Actually royal blue has been my favorite color since high school (our school uniform them was white and royal blue). But as you all know, this combination is for ADMU, which in terms of UAAP Basketball, is our rival school. But I'm still happy to come up with this ensemble. It really looks neat right? I've already posted an outfit using this skirt here. 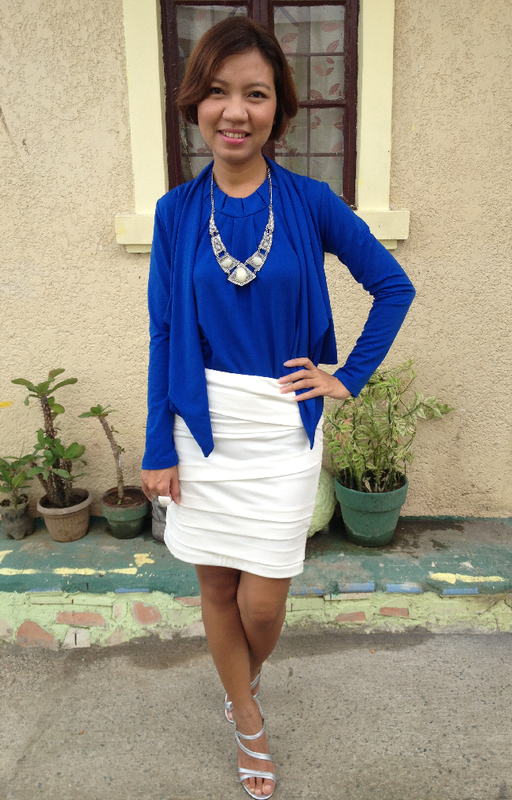 And since white goes with anything, plus the fact that it has its own pretty details (layered), I used it to match with Redhead apparel that will showcase the Blue Eagles' color. 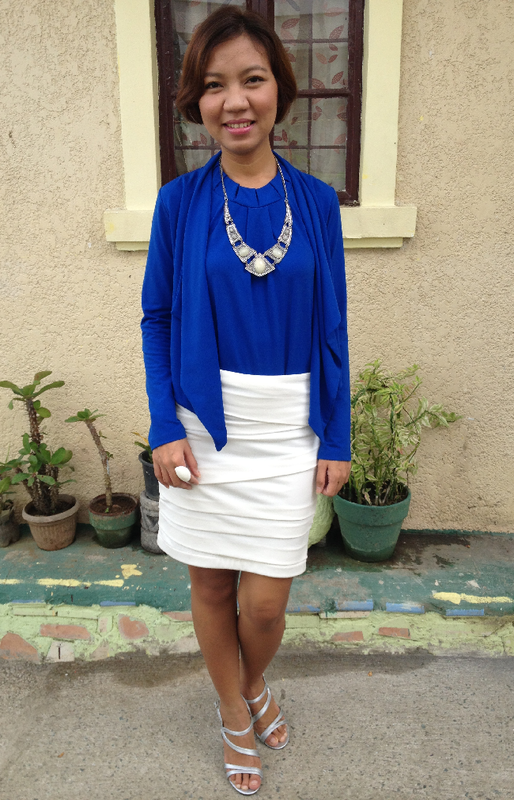 So as not to move away from the colors, I decided to use silver/white for accessories and shoes to complete my look. I've worn this to office a couple of times already (with a different pair of shoes) and it never fails to make me feel more lady-like. Hope you like today's outfit. Tell me what you think by leaving comments below. Have an awesome Friday! sure!I'll regularly visit your blog :) great day!